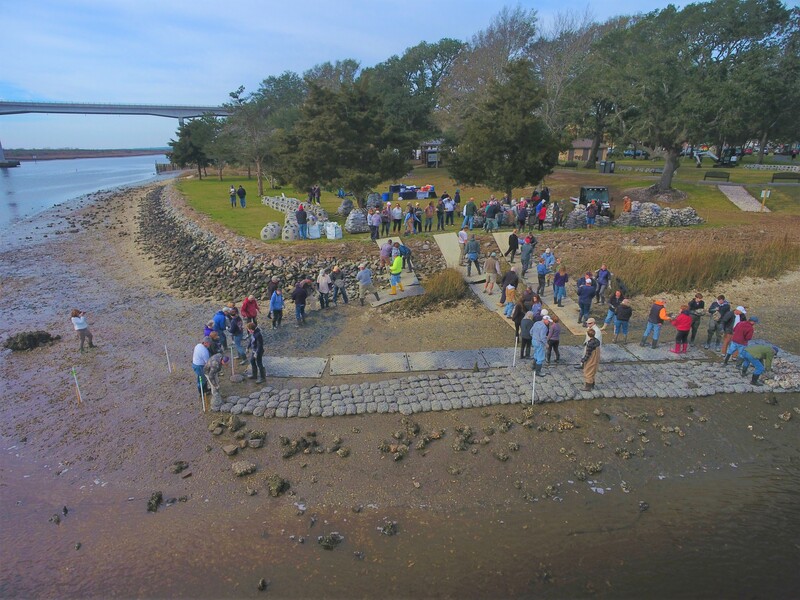 On Jan. 17 the North Carolina Coastal Federation teamed up with the Town of Sunset Beach to start construction on a living shoreline project at Sunset Beach Waterfront Park. 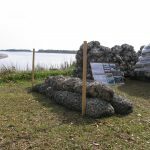 This is the first step of a project with Sunset Beach to create a living shoreline that will help protect the park from erosion and create valuable habitat. Around 100 volunteers showed up to help build this shoreline. 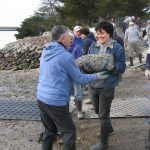 Volunteers were from various organizations including Sunset Vision, Bird Island Steward, Sunset Beach Turtle Watch, Ashley Marine Science Academy and Old Bridge Preservation Society. 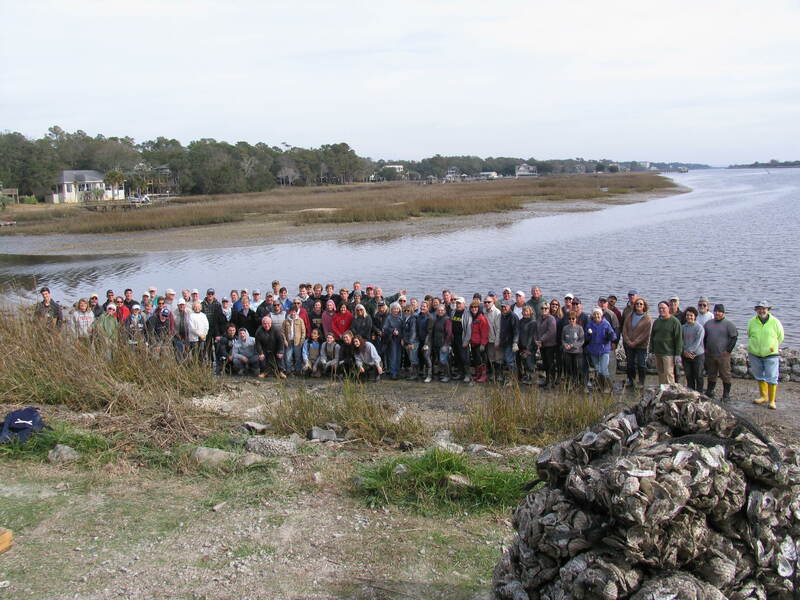 The Mayor of Sunset Beach, Dr. Greg Weiss and other council members were in attendance as well. 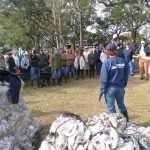 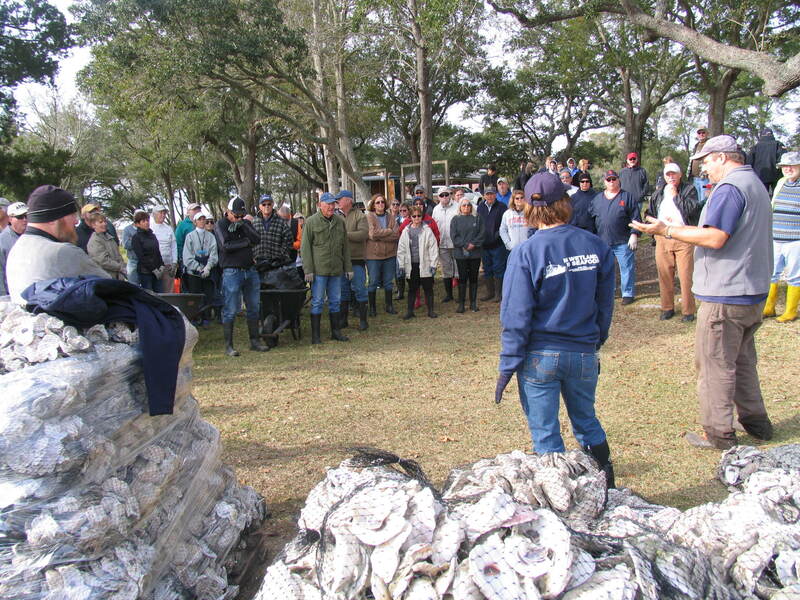 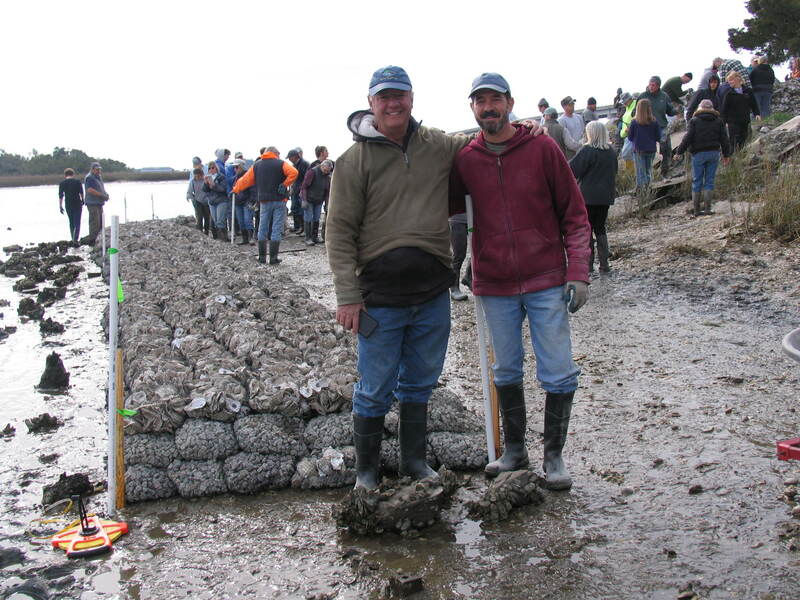 Nearly 3,000 bags of oysters were piled on top of each other to complete the reef in just two hours — record timing for the project. 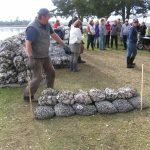 The next step in this project will be placing oyster domes at the waterfront park. 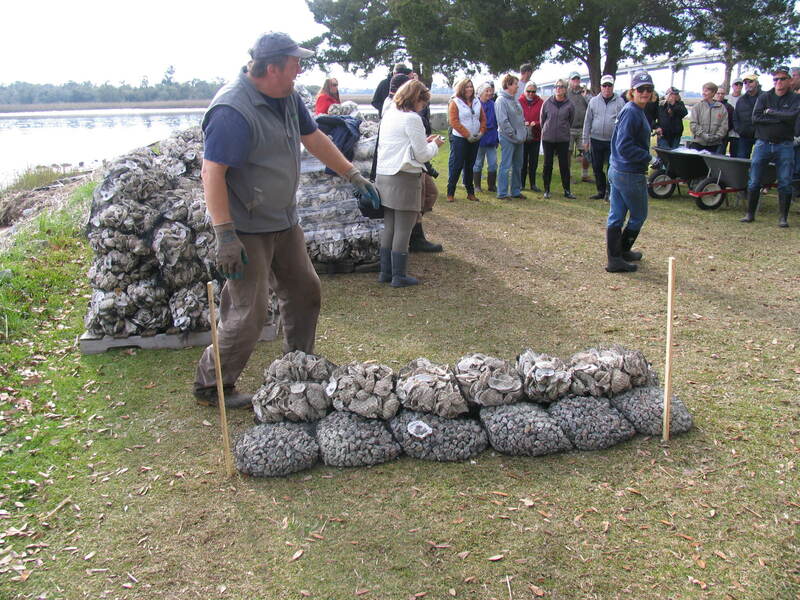 The oyster domes are used to provide the same habitat benefits that the oyster bags do. 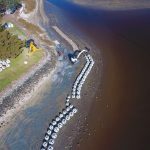 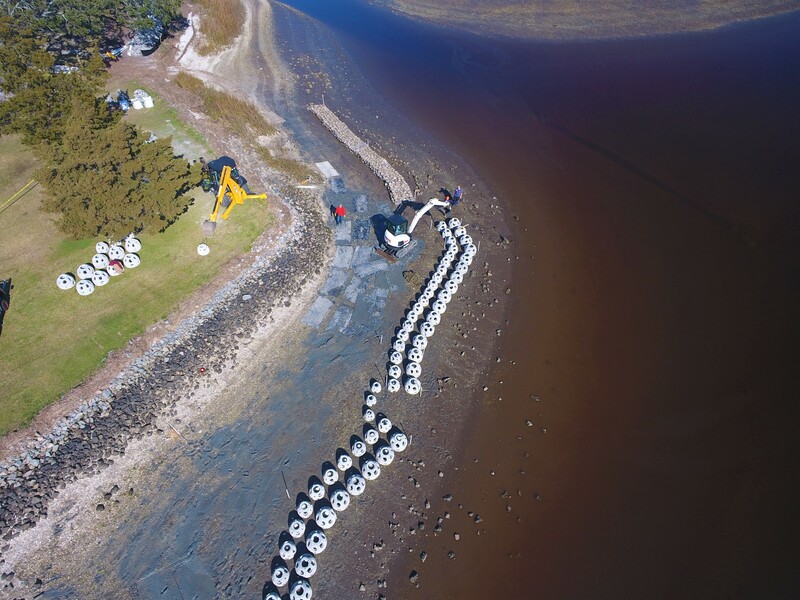 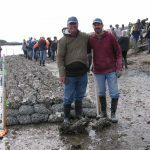 This oyster reef construction project, in partnership with the Town of Sunset Beach, supports the federation’s living shoreline project initiative. 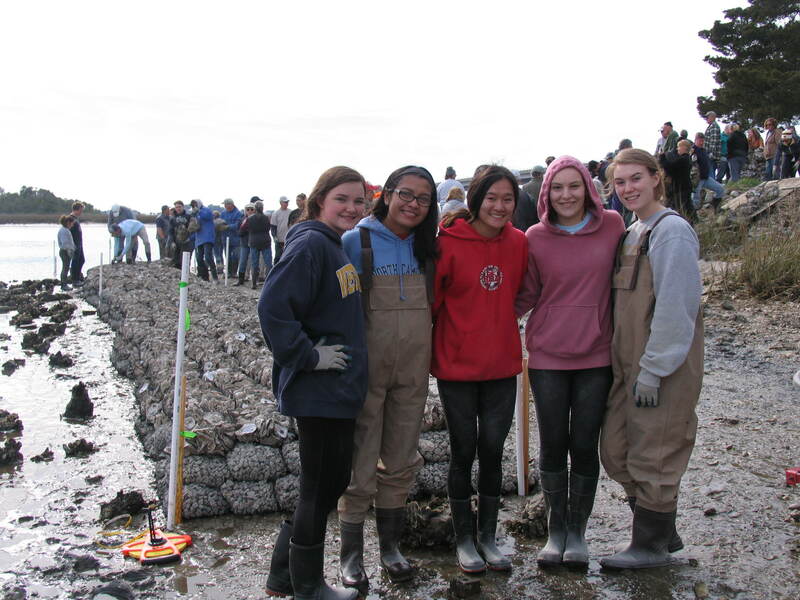 For more information on living shorelines, visit the Living Shorelines Academy. 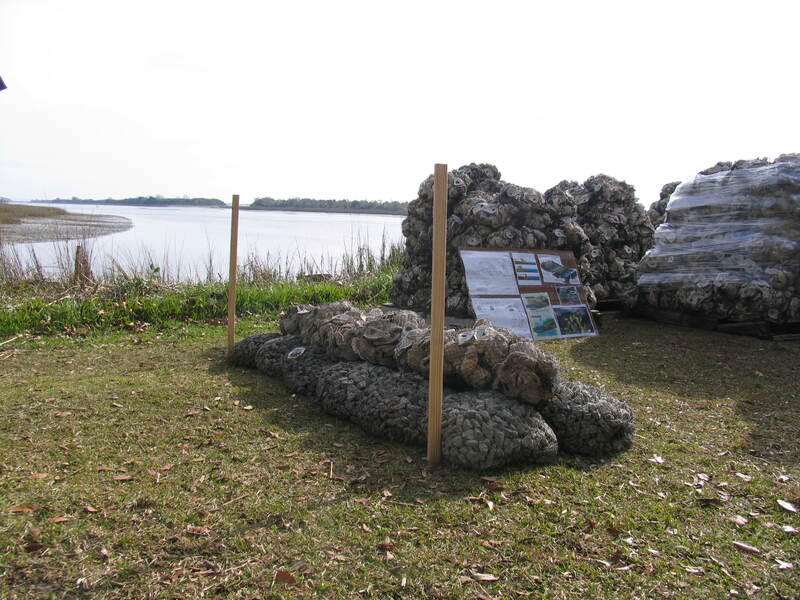 The Living Shorelines Academy is an online exchange of information that encourages the use of environmentally friendly living shoreline erosion control practices to protect valuable waterfront property. 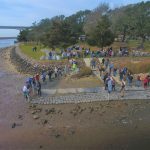 Thank you to Mark Evans, owner of Eye in the Sky Drone Photography for this video of the event!